When Peer to Peer (P2P) Internet video broadcasters like Joost and Babelgum came on the scene they were the rage of the new thing. Riding the wave of video sites like YouTube investors lined up to write monstrous checks. Obscure deals were struck with talent agents. High profile executives were hired; programming deals struck. But in all the euphoria two weak spots were largely ignored: the requirement to download software when competing consumer behavior was predominantly browser based, and the question of how much market share could by attained when airing what are largely ubiquitous and non exclusive offerings. A year later, those questions have come back like a nagging rash. Adding to the itch, traditional media companies (TV and Film) have since gotten creative and ambitious in launching their own video services. (Examples: News Corp and NBC/U have Hulu, the BBC is at work Project Kangaroo in the U.K.) In the face of those unanswered questions, and the competition, some are wondering if these high flyers are withering away. They’re asking tough questions about the whole internet video landscape. Joost, Babelgum, Dailymotion? Where are they going? How many video services will web wanderers support? How many YouTube clones do we need? How much program syndication is too much? 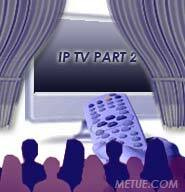 Launched from the tech celebs behind the Kazaa file sharing network, and then Skype, Joost was the highest profile of the P2P IPTV companies to launch last year. They raised $45m in a Series A financing and immediately aimed for a global roll out. Along the way, they picked up a deal with Creative Artists and then hired a high profile CEO in ex-Cisco star Mike Volpi. Founder Niklas Zennstrom told the UK’s Times newspaper at launch “we want to change the way people watch television. … Liberating people from the programming guide.” The stars were the limit. A few months ago things started to turn. A key member of the upper management team, CTO Dirk-Willem van Gulik left to become Chief Technical Architect for potential rival, the BBC. This week, an article in the Sunday Times suggested things were getting more dire and the company was scaling back. Om Malik of Giga Om interviewed CEO Mike Volpi shortly after that report. Mile countered the Times article and said the company isn’t scaling back at all. Just the opposite, he told Malik, the company just launched in China two weeks ago. “What we are not doing is chasing every startup market, because as a startup we need to remain focused.” As a result the company is taking a “more measured approach to our expansion.” That’s all it is. At the same time, however, he didn’t address questions about user adoption or competition from services like Hulu, or Project Kangaroo or even services like Apple TV. These remain serious concerns for skeptics and analysts. A new web-based platform, one that doesn’t require viewers to download a slick but potentially buggy software application is due in a few months. That may make difference in adoption and address on area of concern. A potential hardware partnership similar to Netflix’ deal with LG could be a similar help in bridging the gap between PC and TV for the future (though there is no evidence such is presently in the works). Unlike broadcast TV, where channels differentiate themselves by scheduling as well as programming, on-demand web based television has no similar time bias. You don’t need to change channels (or websites) to catch a syndicated program that’s broadly licensed. A viewer can watch the same Seinfeld rerun without having to flip around to find who has it at the right time (provided the web station has similar content as a rival, which many do). It’s that very fact, the issue of time bias and content ubiquity that’s driving Joost’s competitors too. One of Joost’s largest direct rivals, Babelgum launched to similarly high fanfare. Like Joost, the goal was to change the people watched video by bringing on-demand programming to the desktop. Deep cash reserves were put up to insure they had a chance. But also like Joost, Babelgum has struggled with the same two pervasive issues: the need for viewers to download a program to use the service and issues of content exclusivity. Additionally, the truer promise of the company’s offerings remain partly unfulfilled because it is tethered to a PC. There is no bridge (or easy route) to put the programming on a TV screen. The first project from that fund has now been announced. It will be a documentary called “Oil Sands” about Canada’s Athabasca Oil Sands and struggles between indigenous population and prospective oil speculators. (Canada has one of the worlds’ largest proven oil reserves behind Saudi Arabia). The program will air in segments of about fifteen minutes. In addition to commissioning documentaries, to add to inventory, Babelgum is also sponsoring an Internet video film festival. Over 1000 films from more than 86 countries have been aired on their service as of March 5th. The question, will the content be enough to draw a crowd? Paris based Dailymotion raised $34m in August to build a video portal site to rival Youtube. But like Revver (which was bought) or Sony’s Grouper (which re-invented itself), the company has been finding it expensive and difficult to make money. Even with 50million monthly unique viewers, there are harrowing questions about what comes next. For Daily Motion, the P2P companies aren’t alone in their struggle to differentiate themselves from competition. As a form of TV station (Internet or TV based), and regardless of whether the content is user generated or professional, you’re only as good as your programming. So, in a back-to-the-drawing-board move Daily Motion is making some revisions to their model too. Friday, the company launched Cinema Daily Motion, a web space for “streaming feature length films and documentaries.” The company also set deals with Indie film shops to seek deeper content stores. To a large extent, the plight of the company harkens back to the oft debated mantra “Content is King.” As a distribution platform, they seem to be finding that no matter how good your deliver mechanism, you’re only as good as what you have to show. A sustainable market requires a consistent slate of worthy programming. 50million viewers today will be gone tomorrow if the content pool dries up. •Will ISP Throttling Hurt Online Entertainment?